Thursday, 1/18/18 promptly at 7:00 PM. Death Cafe Trinity is an open forum group that meets monthly to discuss all topics of death. -No agenda, no selling, no special themes- just real people with real thoughts, stories, questions & personal experiences they wish to share – and maybe a few laughs too! 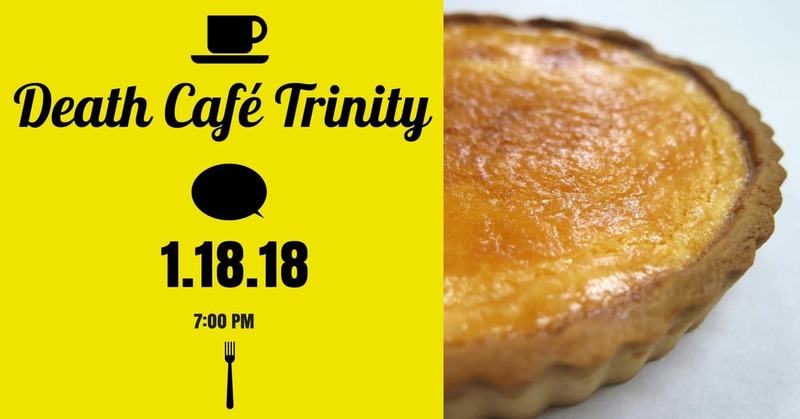 Death Cafe Trinity members enjoy coffee, tea & cake in a comfortable, safe, respectful setting. Death Cafes are not, however, support groups for people who are actively grieving or in end-of-life planning stages, we suggest members are 18 years of age and older as well. Join us ~ Call Laura Starkey or Diana Sayegh for more information (727) 376-5111. A RSVP is requested as space is limited.